As the snow melts and appearances from the sun become more frequent, one thing is apparent: the spring fishing season on Lake Erie is rapidly approaching. Looking back on our 2013 walleye fishing season, we were blessed with both great fishing and pleasant weather. 1032 legal sized walleye were boated on our 41 charters from Memorial Day to Independence Day, an average of 25.2 walleye per outing. Hopefully the coming season will bring more of the same success. According to officials around Lake Erie, that is a very strong possibility. Not even the brutal temperatures of the polar vortex could cool down Lake Erie’s walleye fishing over the winter. Ice formed on the lake far earlier than normal and allowed die-hard anglers to capitalize on this amazing pre-spawn fishery. 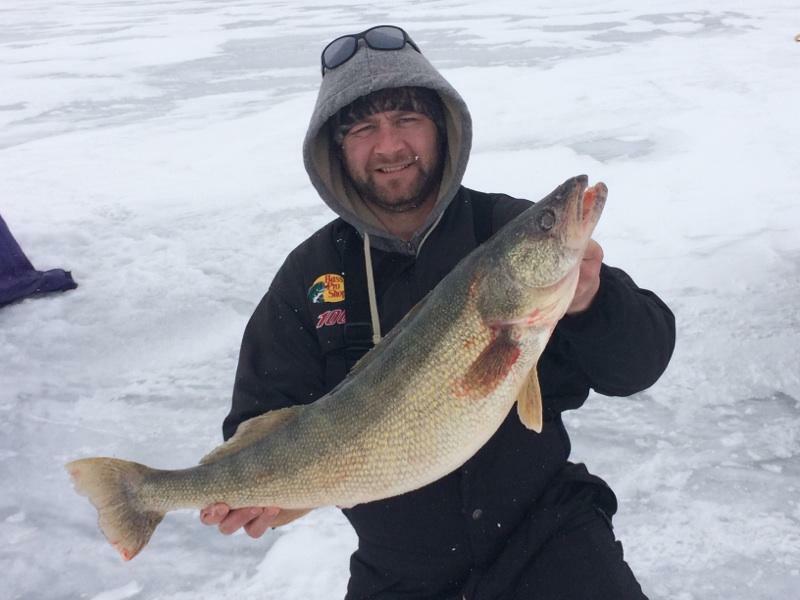 Ice fishing was fantastic for walleye from mid-January to March near the reef complex of western Lake Erie, with frequent limits of trophy sized fish. Some of these fish, like the one pictured above, were even nearing record size. The fish was caught by a lucky angler from Monroe, Michigan and weighed a hefty 14 pounds 10 ounces, and measured a whopping 34 inches. As the ice erodes and gives way to open water, fishing should continue to pick up in conjunction with the annual spawning run. It seems like Lake Erie will hold onto the title of “Walleye Capital of the World” for little while longer. Whether you trailer a boat, ride along with a friend, or book a charter, 2014 should be another banner year for the walleye anglers of Lake Erie. We hope to see you on the water for another fantastic season! 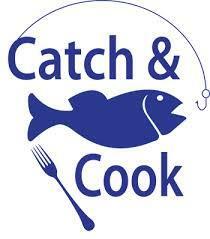 Join us for Michigan Catch & Cook!